It would be more accurate if they concluded, “past climate change provides evidence of how human models have totally distorted recent climate change.” SkepticalScience misdirects our attention away from the evidence such as the natural warming cycle that happened in the 1920s-40s; a natural warming that occurred before any theoretical energy imbalance was detected. And more importantly, a warming that climate models have failed to accurtely reproduce. The Greatest Climate Myth of All argues we can confidently blame CO2 for the warming of the 80s and 90s because models of “natural climate change” cannot simulate the most recent warming unless more heat is added proportional to rising CO2. But their models of how “Climate Changed Before” have been horrendously incomplete, and have never generated enough warmth to explain the higher temperatures that occurred naturally in the 1920s-40s. But the models did no such thing. The models grossly underestimated the mid century warming by as much a 0.5° C. Even their modeled temperatures from the 1860s were warmer than 1940s. So the real question remains. How much of the increasing divergence between modeled and observed temperatures after the 1970s is simply due to bad modeling of “natural climate change”? In the simplest of terms, every study that has attributed the recent warming of the 1980s and 90s to rising CO2 has been based on the difference between their models’ reconstruction of “natural climate change” versus their models’ output of “natural climate change plus CO2.” However the persistent failure of their models to reproduce how “climate changed before,” means any attribution of warming due to CO2, is at best unreliable and at worse a graphic fairy tale. And as we will see in the figures below, climate models not only failed to capture the 1920s to 40s warming, but when CO2 and sulfates were added to better approximate warming during the 80s and 90s in the extra-tropical northern hemisphere, the models transformed the warming period of the 20 to 40s into an imaginary cold period. 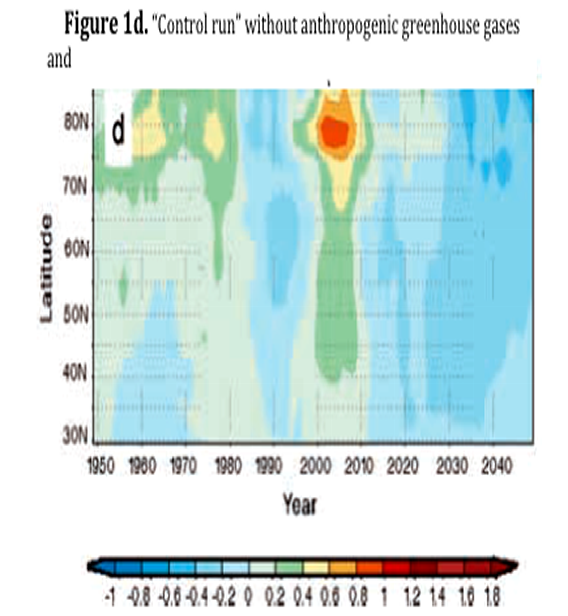 In their “control run” below (Figure 1d), they included all the known physics believed to affect climate change except anthropogenic greenhouse gases and sulfate aerosols to produce their representation of “natural climate change.” The result, as seen in Figure 1d, was a relatively warmer period that lasted for about 15 years. However more importantly, the simulated warming was produced only after 150 years of integration and never corresponded to either of the warm periods between 1920 and 1950, or between 1980 and 2000. So the authors randomly placed the modeled warming on the timeline. In other words their models failed to reproduce the observed climate change - whether it was natural or anthropogenic. 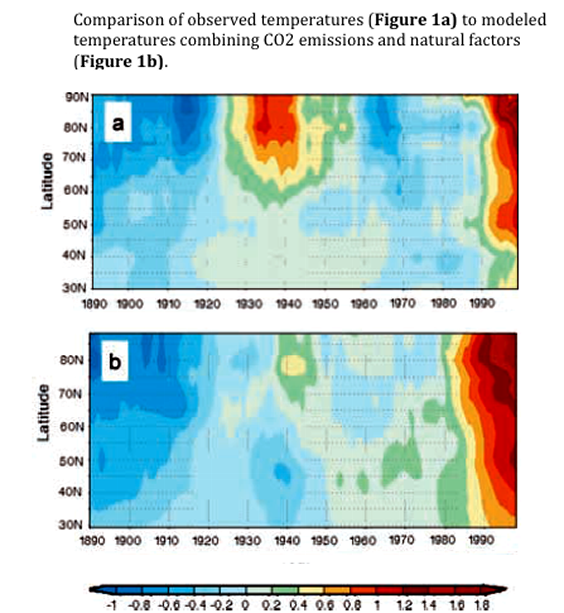 However assuming that models can accurately recreate natural climate change in the past, they argued “no comprehensive numerical-model integrations [Fig. 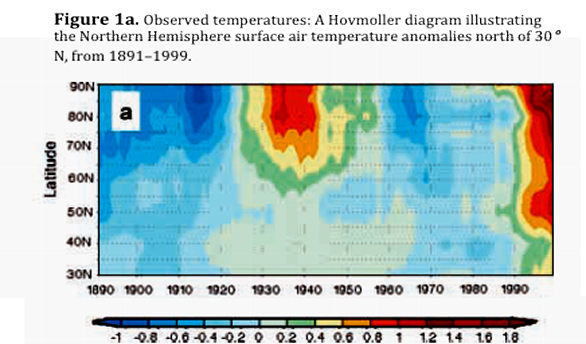 1d] have produced the present global warm anomaly [Fig. 1a] without including observed anthropogenic forcing.” In order to “prove” CO2 has caused the recent warming, they added the historical rise in CO2 to their models. And voila! They reported massive warming in the 80s and 90s [Fig. 1b]. 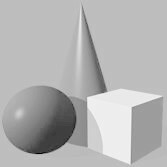 Simultaneously however their models did something quite revealing. According to many climate scientists like the IPCC’s Dr Lenart Bengtsson, the warming that began in the 20s was, “one of the most spectacular climate events of the twentieth century”; yet the models obliterated that observed warming and slightly warmed the cooler 60s and 70s. Models driven by heat attributed to rising CO2 have always run hotter than observed temperatures. So the fudge factor of choice has been to add the cooling effect of sulfates. Sulfates are useful because they can be attributed to either volcanoes or human industrial waste, even though reliable data is lacking. So to constrain the excessive heating in models driven by rising CO2, they added sulfates. But in so doing they turned the spectacular warming of the 20s and 40s, into a cold period. When all was said and done, the model produced a colorful but mythical “hockey stick” (Figure 1c) that looked nothing like observed temperatures (Figure 1a). So it becomes apparent why alarmists like SkepticalScience push “Climate Changed Before” as their #1 climate myth. By downplaying the previously observed warming earlier this century, the public is less likely to be aware that climate models can only produce a mythical representation of climate change for the century (Figure 1c). The failure to model how climate has changed naturally in the recent past, and the failure to model the tremendous impact of ocean oscillations explains why those same models have failed to predict the ongoing 17-year hiatus in warming once the PDO re-entered its recent cooling phase. Nor can rising CO2 explain why the U.S. Climate Reference Network’s (USCRN) land surface data, the upper 700 meters of Argo’s ocean data and satellite data all show a cooling trend since 2003. It is also explains why alarmists fail to comprehend the cyclic changes in Arctic sea ice that was discussed in the essay Why Antarctic Sea Ice Is the Better Climate Change Indicator. The oceans store and re-distribute solar heat and unlike CO2, ocean oscillations can explain both the recent cooling trend and the past warming events. In part 2, I will demonstrate how alarmists have misconstrued the change in the ranges of marine organisms to argue that those range changes provide evidence that is “consistent with CO2 warming”. But that is the second greatest climate myth. Those range changes most assuredly correlate best with natural ocean oscillations. 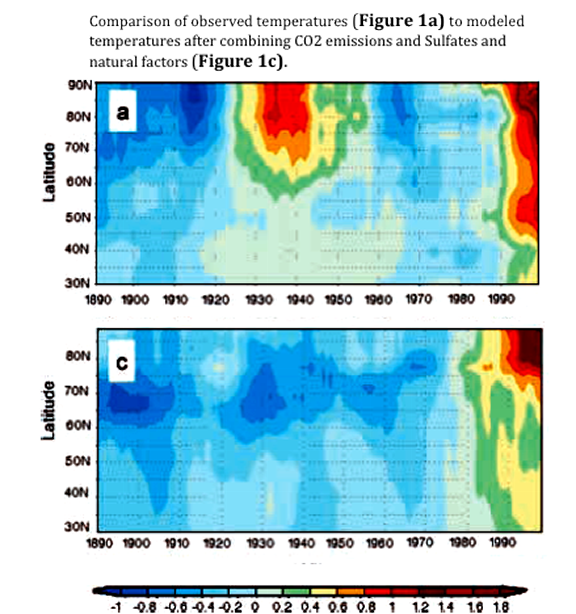 Bengtsson, L., et al., (2004) The Early Twentieth-Century Warming in the Arctic—A Possible Mechanism. Journal of Climate, vol. 445-458. Essay first published June 19, 2014 on Watts Up With That? 1. Should we trust predictions from CO2 driven climate models when they fail to simulate the climate of the 1900s? 2. 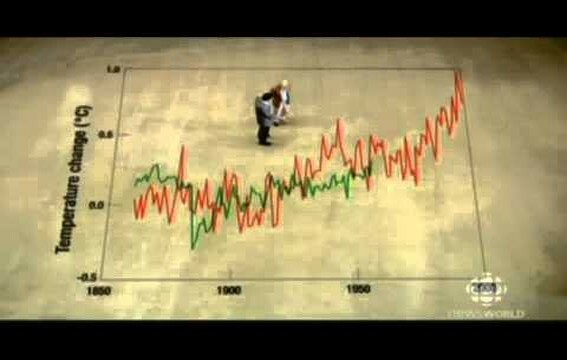 If the orginal data showing the warm peaks of the 1930s and 40s is homogenized away, are data manipulations valid? 3. Has warming caused by ocean oscillations and the intruding warm waters into the the Arctic, been erroneously attributed to rising CO2?